At The Dental Suite, we like to give people all the information they need for a cleaner, happier mouth. From how to brush your teeth properly, right through to what to do if you have a problem with your gums, our guide will provide you with the information that keeps your dental hygiene regime on track. If you are a nervous person who doesn’t like to visit a dentist too often, then the staff at The Dental Suite are here to help take the edge off any worries you may have. We offer special care to anxious patients by making sure your experience is an enjoyable one. Not only does it help maintain a beautiful, clean smile, making sure that you have the right regime in place helps ensure that your teeth last a lifetime. Poor dental hygiene can lead to a growth of bacteria, a build-up of plaque, and tooth decay which can even contribute to systemic problems such as heart disease and diabetes. To maintain good oral health, we recommend that you clean your teeth at least twice a day as well as flossing after meals. How can I tell if I’m brushing or flossing properly? You should use gentle movements of the toothbrush and try to cover all areas including the gums. You should not have any bleeding or discomfort from doing this or flossing and if you have any doubts then ask your dentist or hygienist. At the Dental Suite we regularly give advice to patients on how to clean their teeth properly. Both are okay for cleaning your teeth but modern electric toothbrushes are less abrasive and give a better clean than a manual brush. Electric toothbrushes used to be the expensive option but there is now a big choice on the market which means you should be able to find one to suit your pocket. There are plenty of different types and brands available nowadays including ones that have been developed for sensitive teeth. Opt for a toothpaste that has fluoride at 1,000 parts million or above and that should help to prevent decay if you brush regularly. When should my child have their first check-up at the dentist? Most dentists suggest 6 months old. It’s always a good idea to let your young children accompany you when it’s your time to visit the dentist so they can see that there is nothing to worry about and become acclimatized. I can’t afford to go to the dentist on a regular basis, what should I do? The good news is that many dentists including the Dental Suite provide dental plans that help ease the financial burden for those on low incomes. It’s worth popping in to find out what is available as a regular cleaning can help keep your teeth in top condition well into later life. How often should I have a professional cleaning of my teeth? We recommend every 6 months for a check-up and clean, though if you have an issue such as a brace or have been diagnosed with gum disease then you should be seeing your hygienist every three months for a proper clean. We sometimes need to take x-rays of your teeth to see what is going on below the enamel. The levels of radiation you are exposed to are very low but we don’t undertake it unless absolutely necessary. Is it safe to have dental work if you are pregnant? Most dental work is perfectly safe for pregnant women and it is important to maintain good oral hygiene at this time. We do not undertake procedures such as x-rays if you are pregnant, so please tell us as soon as you know that you are expecting. There are a number of things that can cause bad breath including a poor diet and bad oral hygiene such as not cleaning your teeth regularly which can promote bacteria. Some foods such as garlic and onion can make your breath smell but this is only temporary. 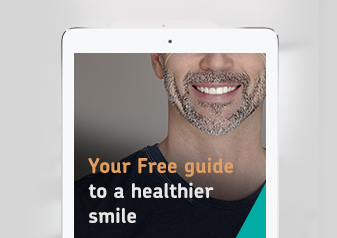 Check out the second part of the guide next week on dental hygiene or pay a visit to the The Dental Suite where we’ll be glad to answer all of your questions about looking after your teeth and keeping that smile happy and confident. We do understand your dental phobia, so take the first step in conquering your fear and keep your smile healthy.